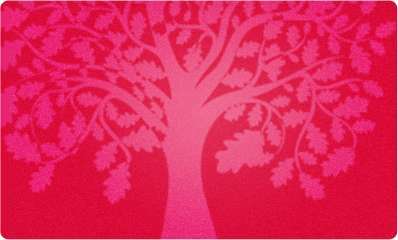 Home » News » NEWS from the EU parliament Shouldn’t the US be on the Tax Evasion Black List? Shouldn’t the US be on the Tax Evasion Black List? European parliament debates on the 4th of July about the terrible consequences FATCA and CBT (Citizens Based Taxation) has on its European citizens with a (‘accidental’) US citizenship. Today members of the European Parliament in Strasbourg (Sophia in ‘t Veld, Cecilia Wikström and Virginie Rozière) invited Americansoverseas.org founder Daan Durlacher to a ‘round table’ conference to prepare and inform European Parliament members for the debate about the terrible effects of the American laws; FATCA and CBT. They EU wants to debate possible solutions to avoid future problems. These laws greatly impact US citizens based in Europe in their daily life; just because they are (accidentally) a US citizen (because of birth or through US parents). In return for the EU compliance to FATCA the US had agreed to share information about EU citizens hiding capital in the US. However, until now the US has not responded to any requests to share tax information. The US therefore is seriously being considered to be blacklisted by the EU according to officials for refusing to co-operate as it is considered a non-compliant tax haven. On the 4th of July 2018 the European parliament will meet and debate about FATCA and its consequences. One becomes a US citizen by being ‘accidentally’ born in the US or having a parent that is a US citizen at birth (renouncing the US citizenship is hard and very expensive). The U.S. has a so-called CBT (Citizens Based Taxation) system taxing citizens regardless of where they live. Furthermore the U.S. forces all European banks to provide all personal (and business) bank data of account holders with a US citizenship status (called FATCA). Simply being a US person makes it impossible for many to have standard banking services in the European country they live in. According to the European parliament investigation over 200.000 European citizens are reported to have been affected in their daily life by this U.S. law. 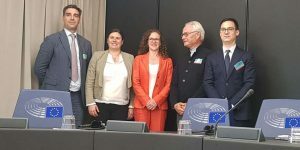 EU Parliament asked Professor Carlo Garbarino to investigate. 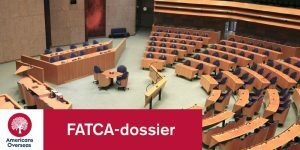 His study, commissioned by the European Parliament’s Policy Department for Citizens’ Rights and Constitutional Affairs, analyses FATCA legislation and its application at international and EU level: it first provides a global overview on the exchange of tax information and of the FATCA mechanism applied through intergovernmental agreements. The study then describes the extraterritorial nature and negative externalities of FATCA, in particular its impact in U.S. citizens abroad and the potential conflicts with EU law, with specific attention to the right of FATCA data protection under the GDPR (General Data Protection Regulation). It concludes with suggestions for bilateral and unilateral EU – U.S. policies, with final remarks on a multilateral approach. The conclusion of the report confirms FATCA is in conflict and therefore violates the recently introduced EU data protection laws. On the 4th of July 2018, American Independence Day, a press conference will be held on the conclusions of the report on FATCA. Americans Overseas will update you with the latest developments on the EU debate on FATCA. UPDATE: On the fourth of July there was a debate in the EU on US Citizen Based taxation, FATCA and the consequences for US persons in Europe. 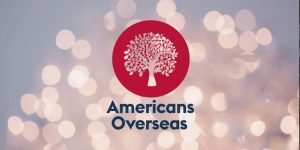 If you have more questions about the consequences of FATCA and CBT on European-American citizens and EU debates FATCA you can contact us at Americans Overseas. LOL the EU expects the Supreme Leader to do anything helpful for them? Who does the EU think they are, Russia lol?